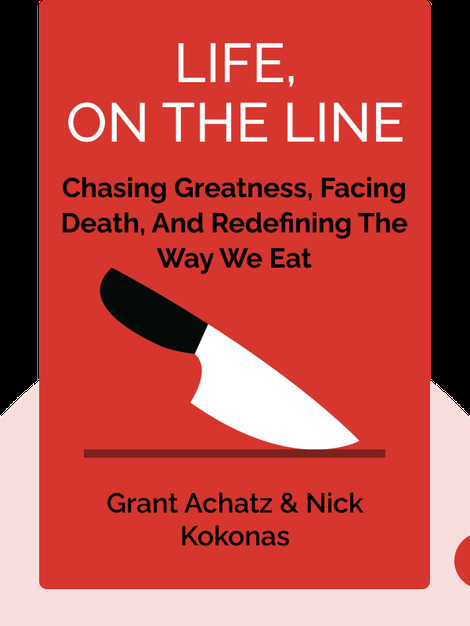 Life, on the Line (2011) tells the remarkable story of Grant Achatz, a fiercely determined chef whose drive to become the best found him redefining American cuisine before he was even 30 years old. His dreams came true when he opened his own restaurant, Alinea, in Chicago, but just as the awards and accolades came pouring in, a bigger challenge presented itself: he was diagnosed with advanced mouth cancer and faced the possibility of either dying or losing his tongue. Grant Achatz has won multiple awards for his cooking, including being named the best American chef and owning the best American restaurant. He owns three Chicago restaurants: Alinea, Next and The Aviary. 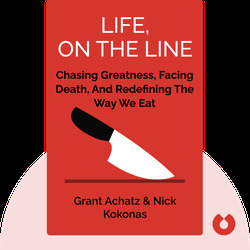 Nick Kokonas is Grant Achatz’s business partner since 2005. He’s active in the marketing and planning of Achatz’s restaurants.